Our lead boat (left of center, in the water) rounds the Nankoweap peninsula. Pam and the kids walk along the Strip in Las Vegas. Thankfully we only had one day in Las Vegas, because the temperature hit 100 degrees and was forecast to reach 112 in the next few days. It’s the nights that matter in Vegas, anyway. 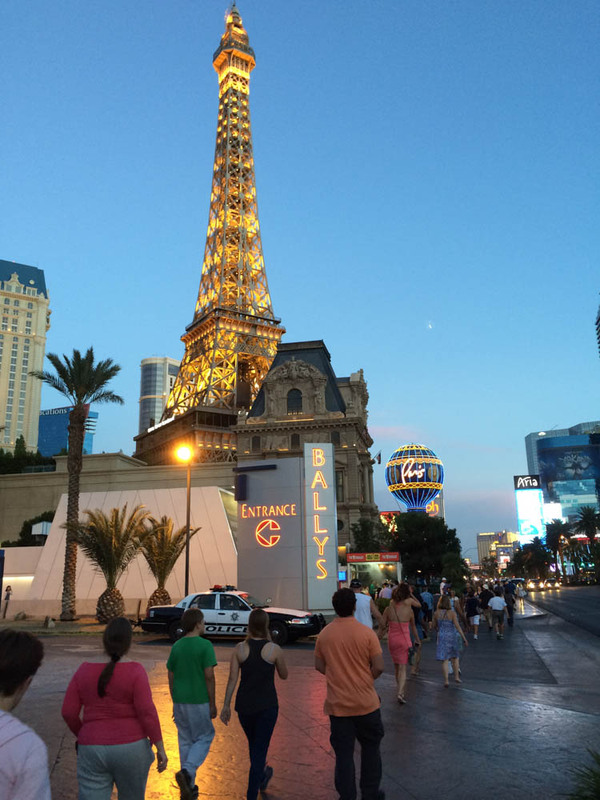 We explored the craziness of the Strip – jammed with drunk pedestrians and hawkers of every vice imaginable – and strolled through a few casinos without pausing to play. Vegas represents excess in seemingly every regard, from gambling to its outrageously flagrant waste of water in the middle of a desert. For us, the highlights included a visit to a tasty Brazilian barbecue and an incredible David Copperfield magic show. We jammed everything into a rental car and headed east. 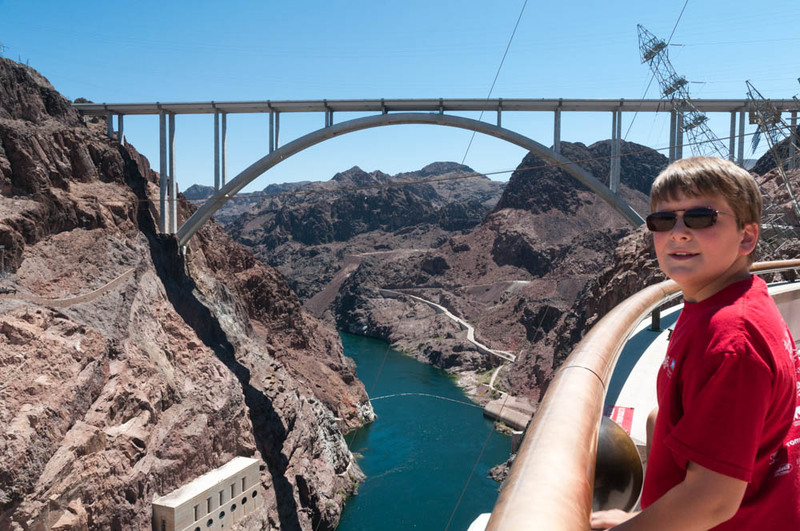 Andy examines the bew bridge, bypassing Hoover Dam. 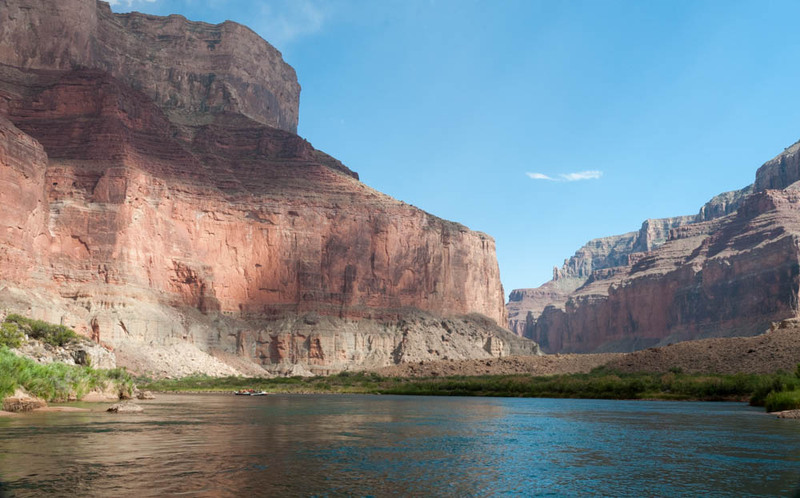 We were due to meet Hatch River Expeditions on Sunday morning at the Cliff Dweller’s Lodge near Lee’s Ferry, which is the only place to launch boats for a run of the Grand Canyon. So we took the long way ’round the Canyon, over Hoover Dam and its new bypass bridge then through the forested areas south of the Grand Canyon and west of Flagstaff. Pretty drive! Sunday morning I woke at sunrise to poke around the scrubby desert wash near Cliff Dweller’s, enjoying the opportunity to photograph this radically different terrain in the warm sunrise light. See more photos. In the next post: the Grand Canyon! 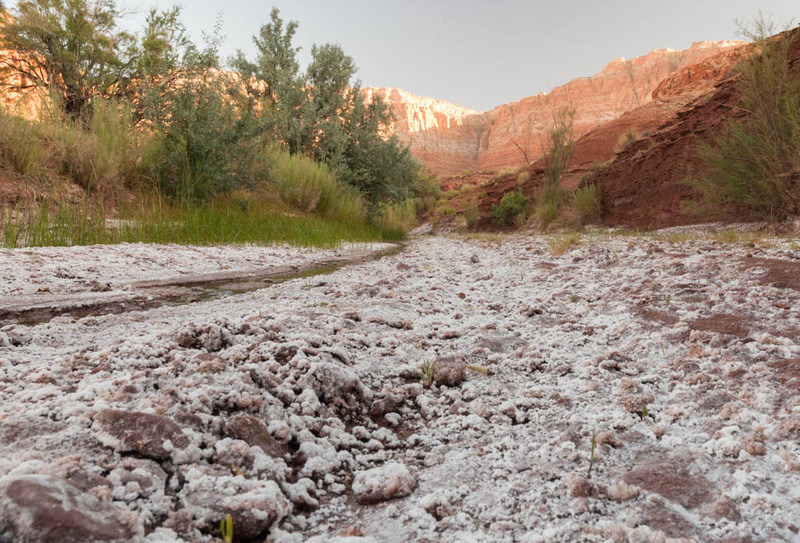 A dry and salty wash near Cliff Dweller’s Lodge. 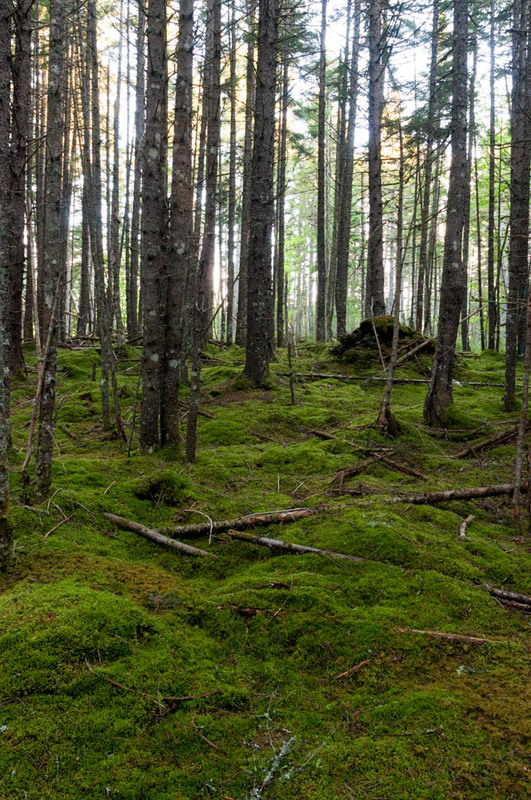 Morning along the trails at Bretton Woods, near the Mount Washington Hotel. It’s been a wet spring, but last week was nonetheless sunny and beautiful – the woods were verdant and full of wildflowers. I had a wonderful hike with a dear friend along the Appalachian Trail close to home, and then four beautiful days to trek around the Mount Washington Hotel & Resort, including the opportunity to take 32 colleagues from the MobiSys conference up some of my favorite short hikes in the Whites: North and Middle Sugarloaf Mountains.